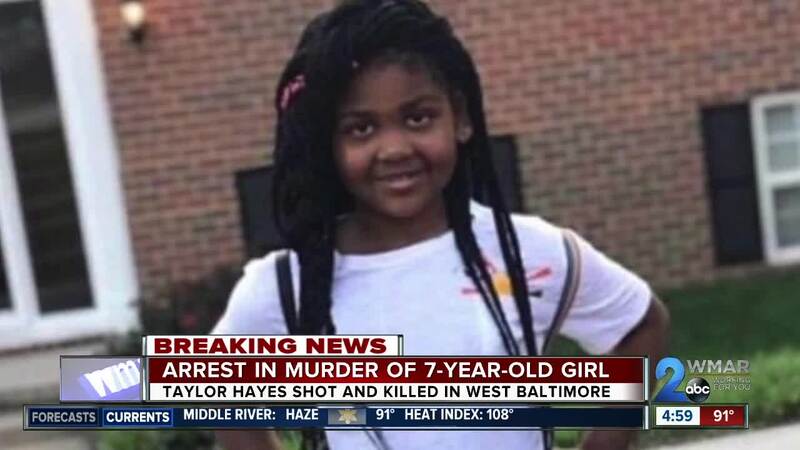 Baltimore Police charged a 29-year-old Baltimore man with the murder of 7-year-old Taylor Hayes, the department announced Friday afternoon. On July 5, Taylor Hayes was shot. She passed away two weeks later. Today, @BaltimorePolice will announce an arrest in the case today at 2pm. We’ll live stream it. Great work by the men and women of the PD to close this case. Police charged 29-year-old Keon Gray of Southwest Baltimore with the crime. Gray was arrested in Anne Arundel County. His suspected girlfriend was also arrested as an accessory after the fact. He was being transported back to Baltimore while the police made their announcement. A look on Maryland Case Search shows Gray has an extensive prior criminal record. 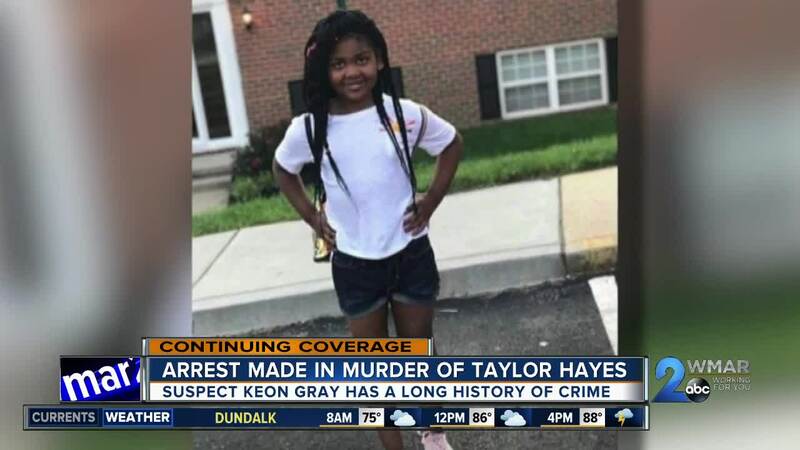 “This is a long time coming with respect to the arrest of the person, or one of the persons we allege are responsible, for Taylor’s death" said Interim Police Commissioner Gary Tuggle. He praised great investigative work by the Baltimore Police and cooperating jurisdictions. Gray has been charged with first- and second-degree murder, first degree assault, firearm use in the commission of a violent felony, firearm possession with felony conviction, illegal possession of a firearm, reckless endangerment, handgun on person, and discharging a firearm. Hayes was shot while sitting in the backseat of a car in Edmondson Village on July 5 . She was listed in critical condition following the shooting and succumb to her injuries roughly two weeks later . "When you have a child, seven years old, who’s thinking about playing with dolls and trying to get candy that person should not be subjected to violence," said Tuggle. The shooting angered a community already grappling with frequent violence . The driver of the car Hayes was riding in was arrested on drugs and weapons charges, but police said she did not fire the fatal shot. Hayes' death galvanized a community , who came forth to grieve her death and celebrate her life . With the shooting happening in the middle of the day, police grew frustrated with the lack of information coming from the public. " Someone saw something," Tuggle said at a press conference in July . At the conclusion of the press conference, Robinson took to the podium to reflect on the violence that has plagued the city. Though crime is down in 2018 compared to last year, Baltimore has come off of three-straight years of violence since the riots following Freddie Gray's death.